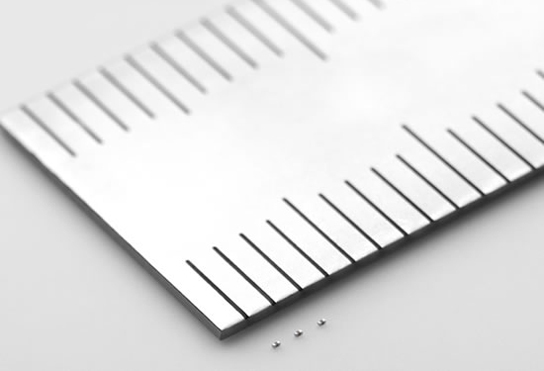 The Japanese company Murata has developed the world’s smallest millimeter-scale monolithic ceramic capacitor that measures 0.25 mm × 0.125 mm. The volume of this new capacitor is approximately 25% of the predominant monolithic capacitor presently used in smartphones. Monolithic ceramic capacitors are assembled into many different kinds of devices. The latest smartphones use 400 to 500 each. Volumetric efficiency is a key factor in the product design of mobile devices. As such, smaller capacitors will mean more powerful devices. Ceramic capacitors consist of thin dielectric layers interleaved with staggered metal-film electrodes. After the leads are connected to the alternate projecting ends of the electrodes, the whole assembly is compressed and sintered to form a solid monolithic block. Murata will be exhibiting this monolithic ceramic capacitor at CEATEC JAPAN 2012, which starts on October 2nd. The company has been working on the research and development of ceramic capacitors since the company’s founding in 1944. It’s expected that this capacitor will be ready to ship to manufacturers by the end of the 2013 fiscal year. 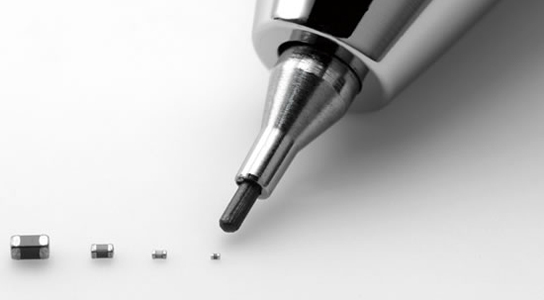 Be the first to comment on "Murata Develops World’s Smallest Monolithic Ceramic Capacitor"